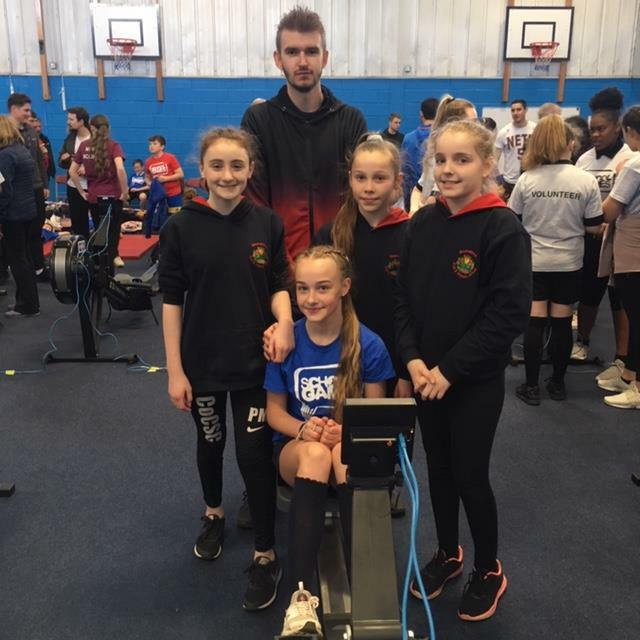 Our Year Six rowing team went to Solihull today to compete in the finals of the Coventry, Solihull and Warwickshire School Games. The team rowed brilliantly and were a real credit to the school, in terms of their determination, sportsmanship and behaviour. The girls also got a photo with one of the Wasps netball team. Well done Sophie, Phoebe, Summer and Macy. Thanks also to Mr Liam Mears for training the team.